Home XL Motor Skills Cube "Move it!" 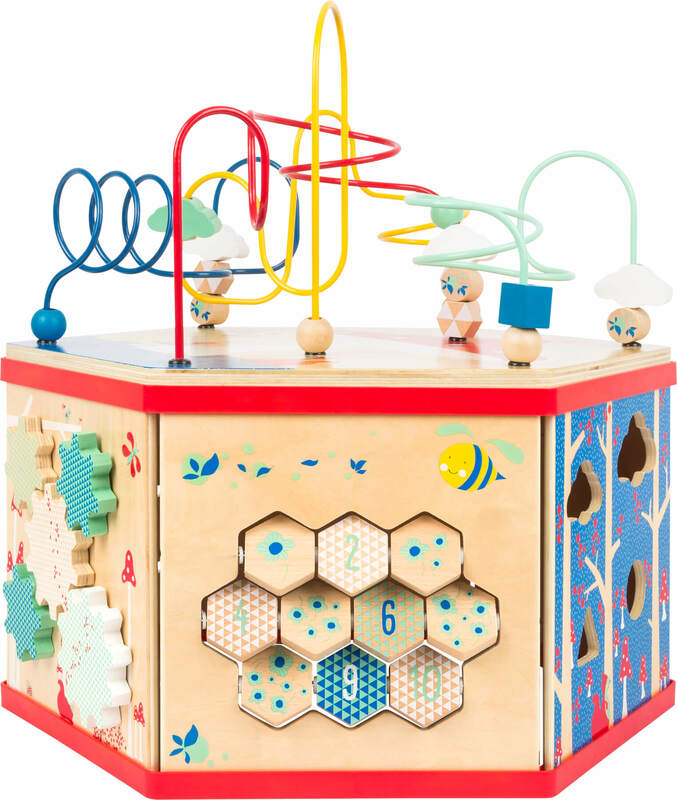 Playtime fun in an exclusive small foot design! 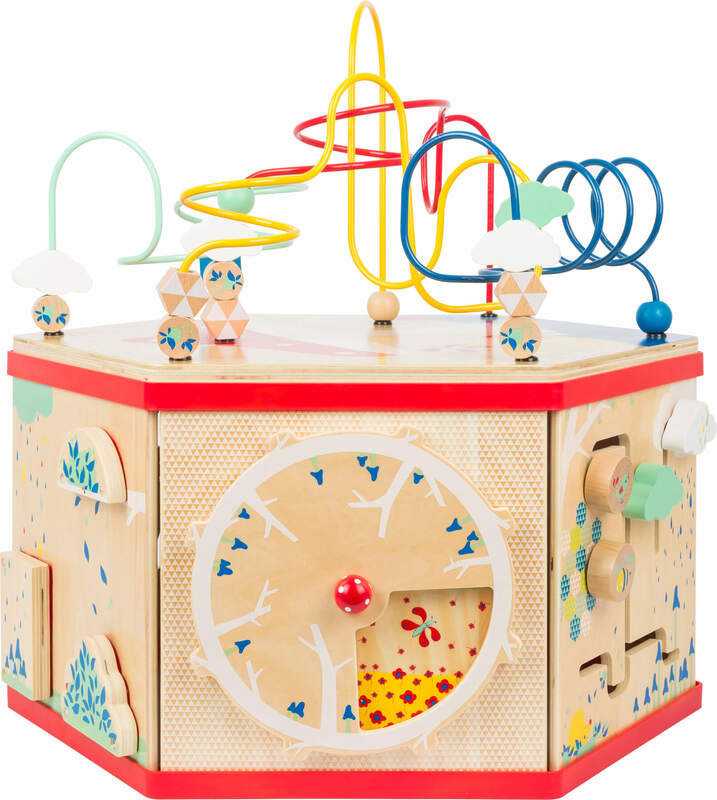 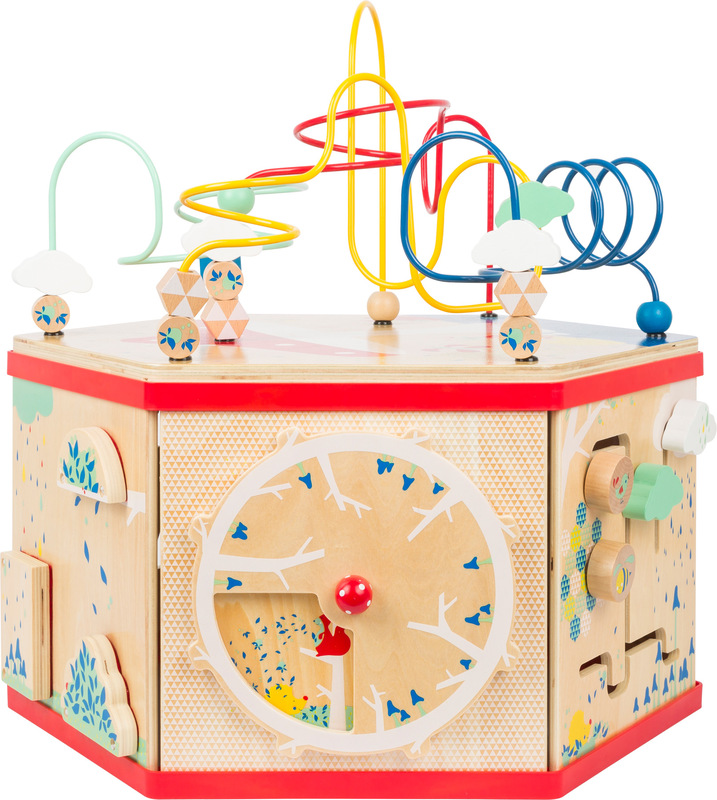 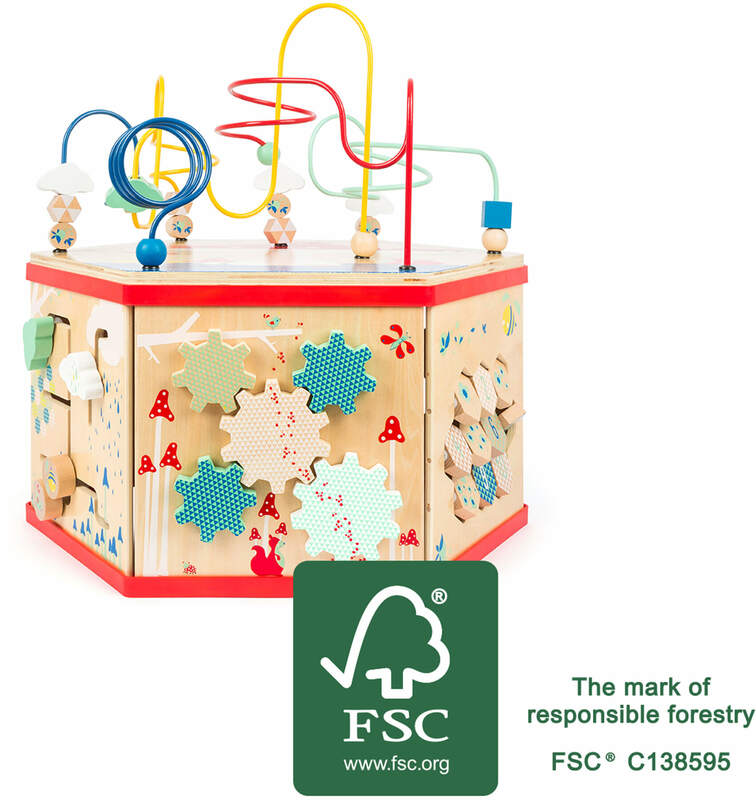 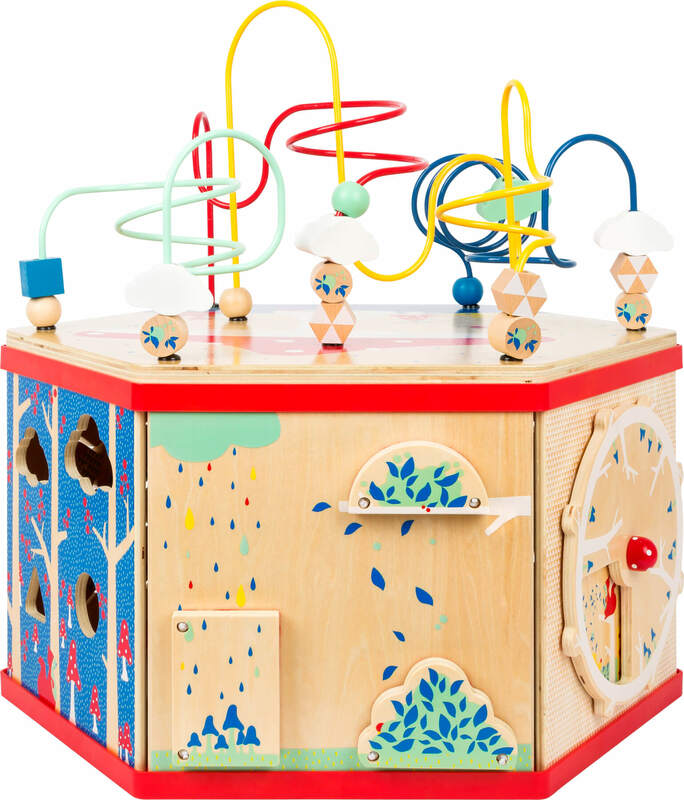 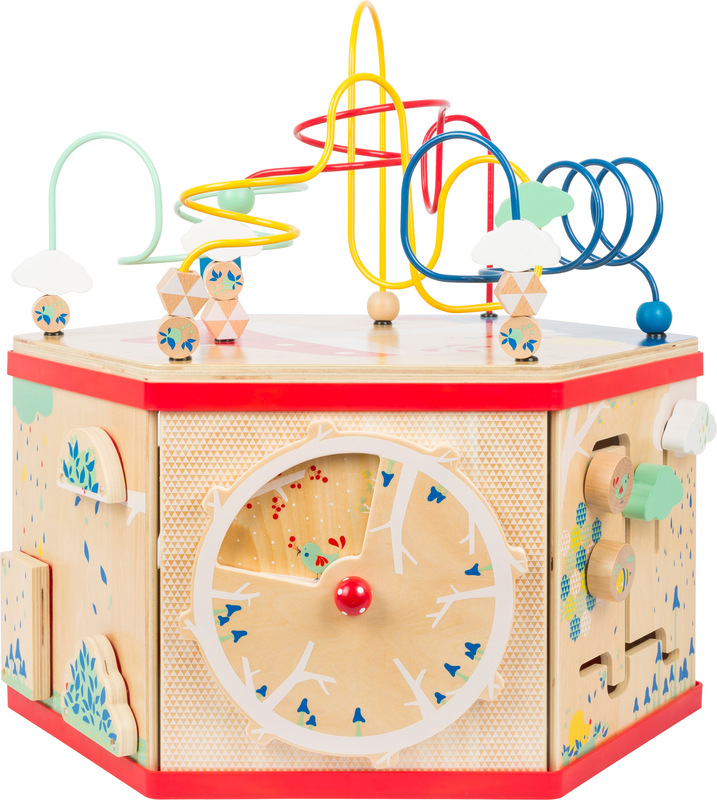 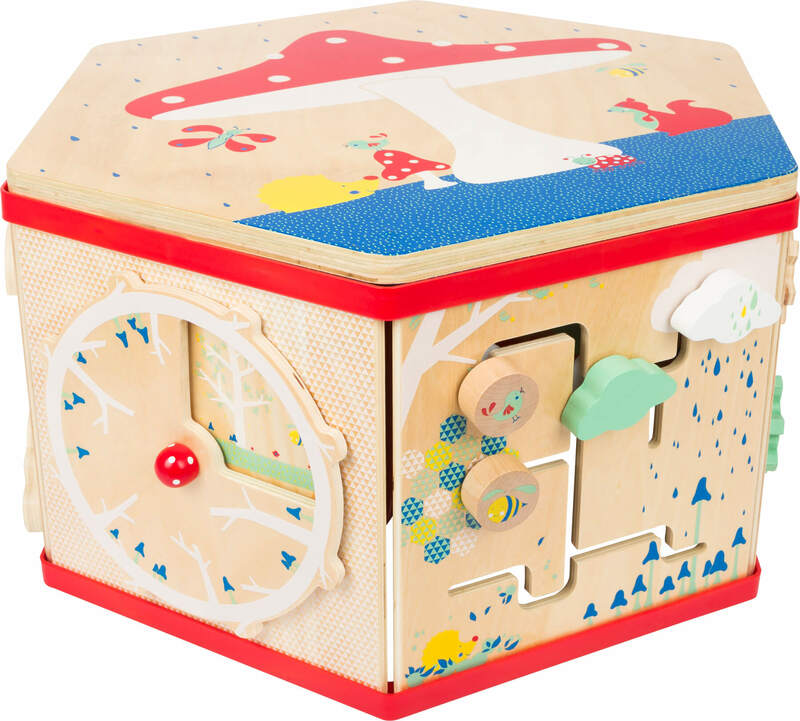 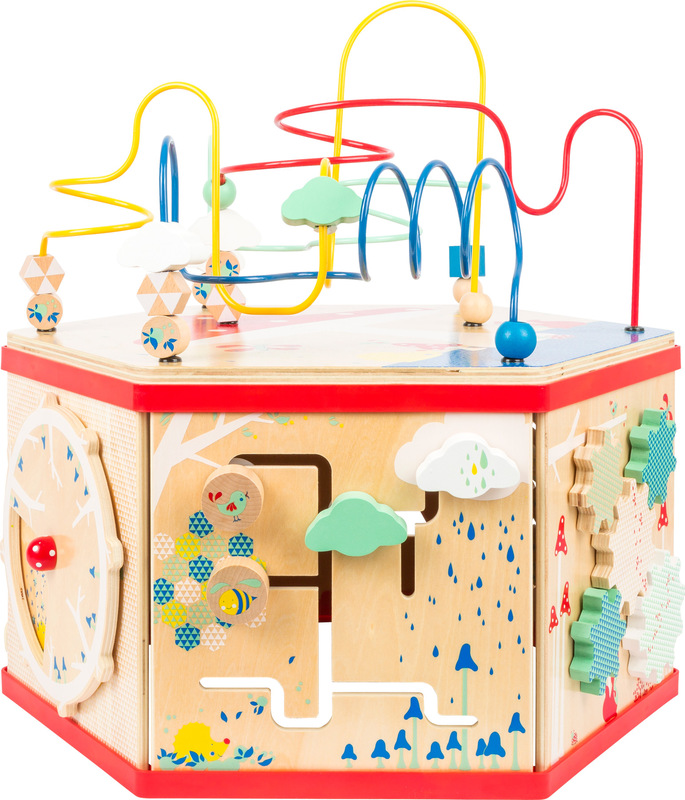 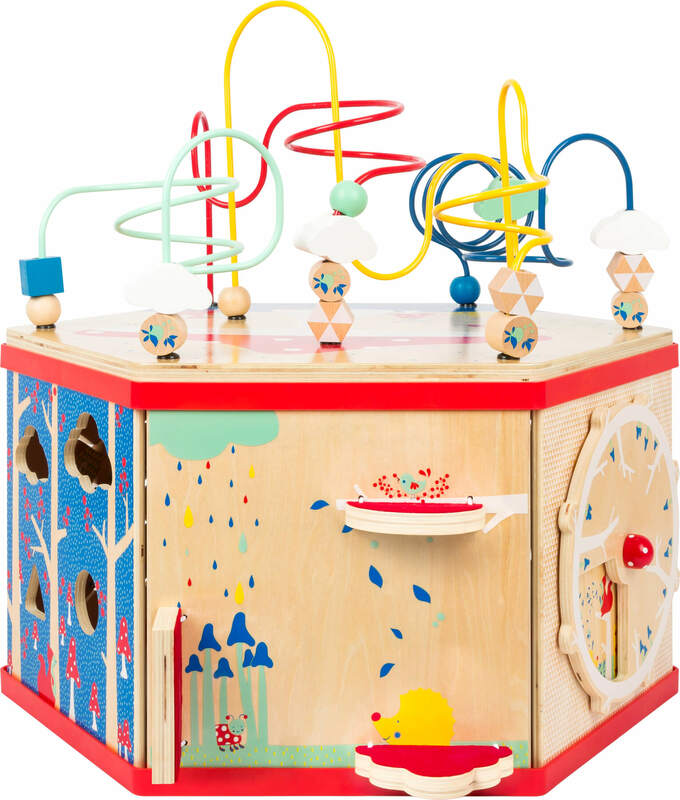 This high-quality motor skills cube made of FSC® 100%-certified wood from the "Move it!" 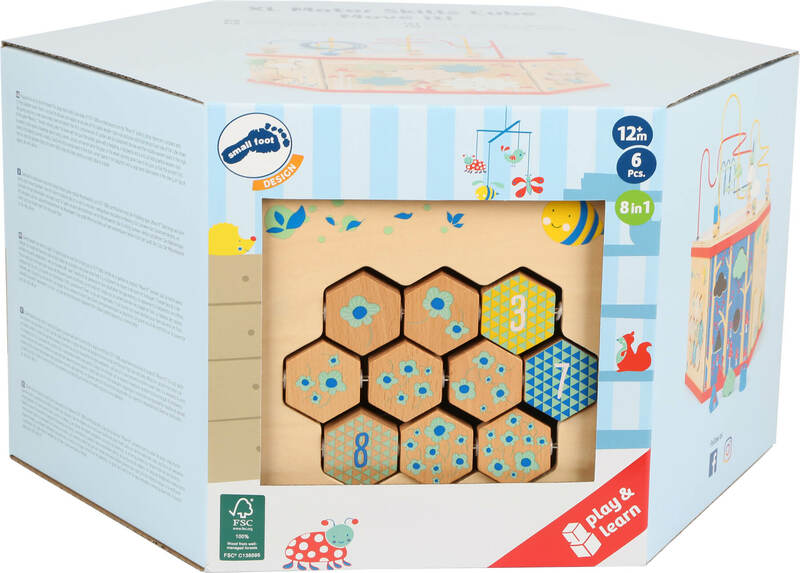 product group impresses customers with its high playtime value because there is so much for young explorers to discover: foldable wooden elements in the style of the game "Memory" train children's understanding of numbers, a searching game with a hedgehog, a ladybeetle and a bird provide fun and a seasons clock provides useful knowledge about spring, summer, autumn and winter. 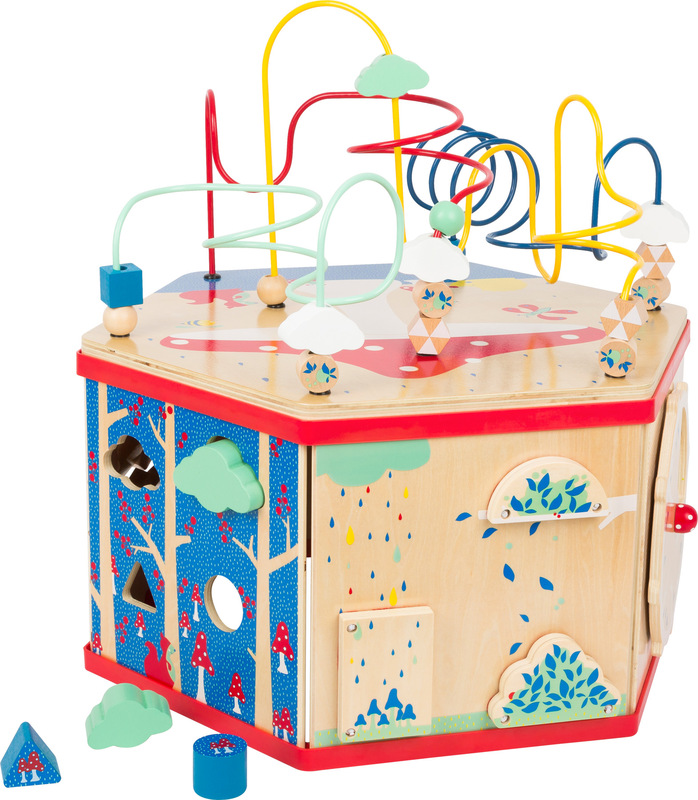 A game with small wheels and a large activity loop are the cherries on top of the motor activity fun. 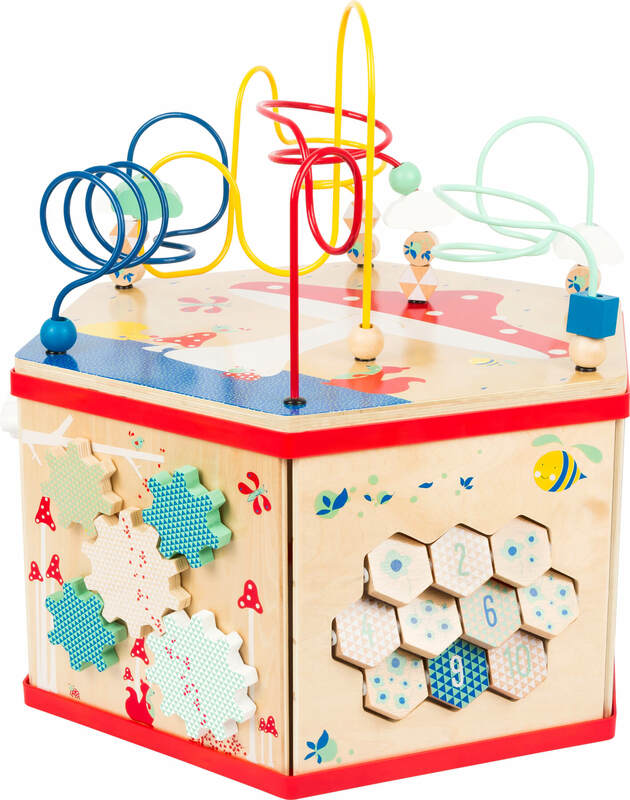 And another great thing: this motor skills cube also looks great as a small table or a stool! 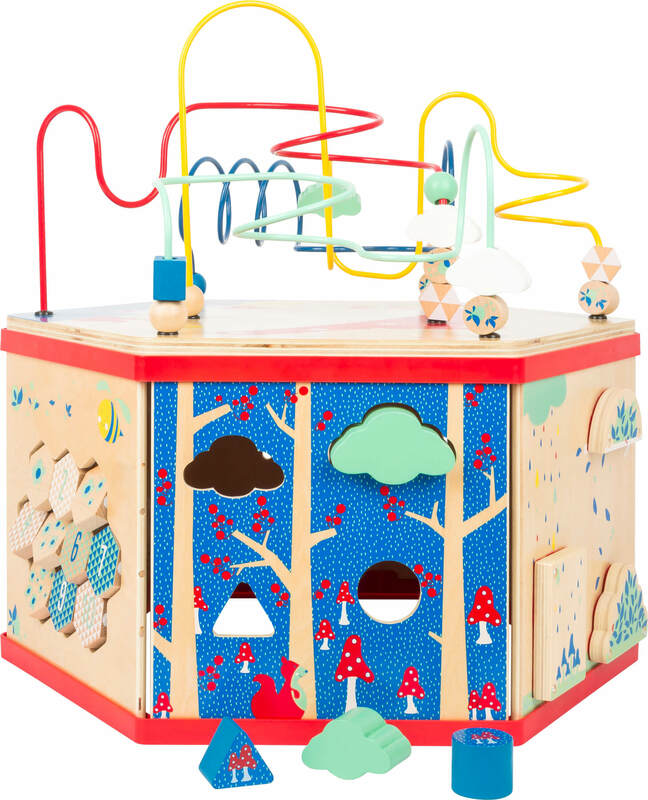 What side do you want to begin with first? 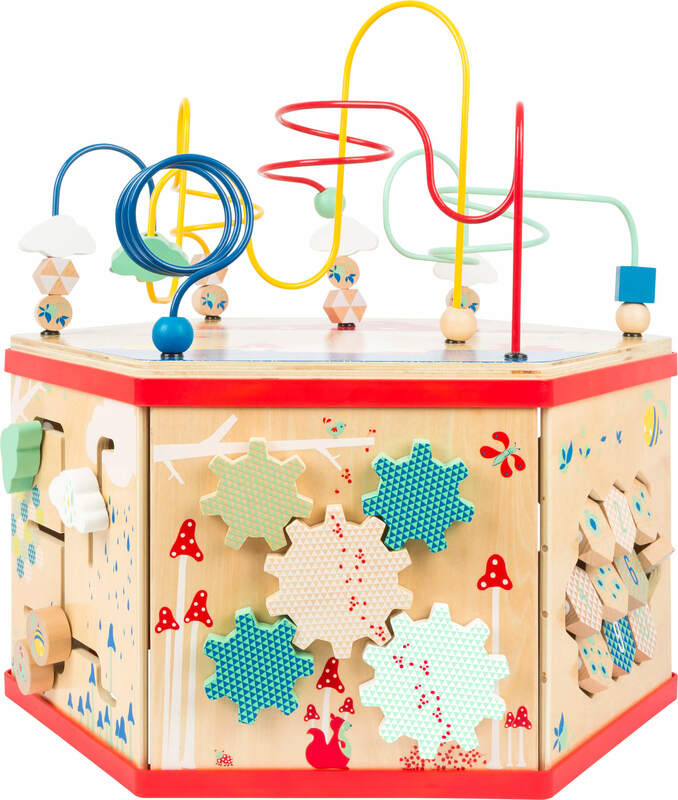 Motor Skills Cube "Move it!" 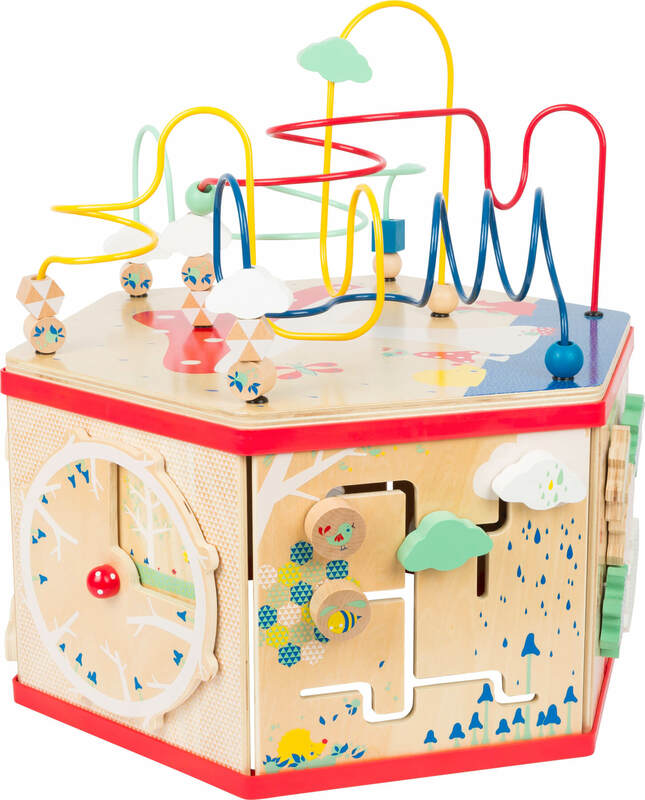 Motor Skills Tree "Move it!"